Downstream outlets of consumer electronics are becoming key players in the global high-tech supply chains as technological breakthroughs and mobile Internet services fuel growth of smartphones, tablets, wearable electronics and other smart devices. Topology Research Institute (TRI), a Taiwan-based market research institute, forecast in its latest report that new applications in smart homes, 4G LTE (long-term evolution) and the Internet of Things (IOT), smartphones and wearable electronics will serve as the new growth engines of the global smart connected device market during the second half of this year. Falling prices, TRI predicts, will help global smartphone shipments surge by 30% yearly to 1.28 billion units this year, with the growth largely led by the upcoming Apple's iPhone 6 and Amazon's Fire Phone during the second half of the year. TRI indicates that the long-awaited iPhone 6, scheduled for launch in the third quarter, will have lots of new features to attract consumers, including iOS 8, a built-in fingerprint identification system, NFC (near field communication) function, slimmer profile and narrower bezel, and, particularly, a 4.7-inch touchscreen that is expected to silence persistent criticism about small screen sizes of the previous iPhone editions. TRI optimistically projects sales of the new iPhone to exceed 70 million units in the year despite its late launch. Compared to iPhone 6's high price tags, Amazon's Fire Phone, to hit the market in the third quarter as well, will apparently to ride on the growing trend towards budget-price, high-spec smartphones, mainly due to its 3D screen and new camera application coupled with radical pricing. The product, TRI notes, is expected to become a trend-setting model in the U.S. and European markets for web-enabled phones and push the prices of such devices lower. High-spec, budget-priced smartphones will become the mainstream in the U.S. and European markets. Another noteworthy trend is the growing emphasis of the world's major smartphone developers and vendors to differentiate their flagship models from competitors' through app development, rather than enhancing specifications, especially at a time when technological advancement on the hardware side is hitting limits, emphasizes TRI. Therefore, it foresees that major players will increasingly adhere to prevailing prices while adding IOT, Internet of Vehicles, mobile payment, and other applications to their handsets. From another viewpoint, TRI adds, larger-sized smartphones will inevitably come under price pressure during the second half of this year. Selling prices are expected to continue dropping as a whole in the long run. At the same time, product lifecycles of Android-powered models have been gradually shortening. This will accelerate the trend towards application innovation among suppliers. Thanks to the rise of crowdfunding, ever more new startups are commercializing innovative wearable devices. Pebble and GoPro, for example, have been outselling globally influential brands as Samsung and Sony in the wearables market since their product launches in 2013. Their success, TRI says, has motivated more players to enter the emerging segment this year. Overall shipments in the segment are forecast to soar by 73.7% in 2014 to 44.6 million units, mostly for sports, fitness and healthcare applications. 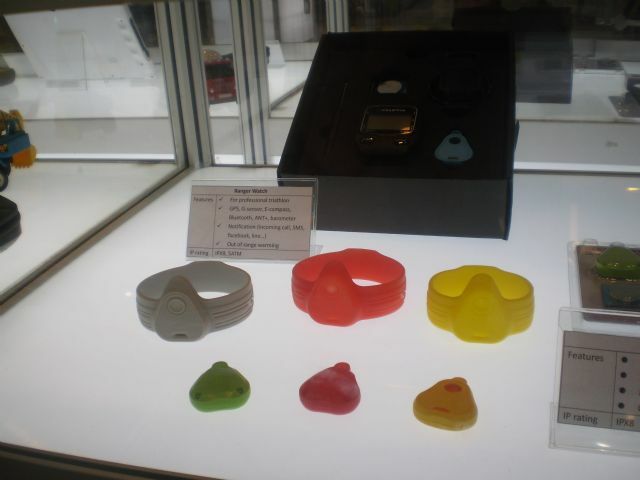 Market demand for wearable electronics is expected to remain strong this year. While smart wristbands and head-mounted devices are expected to together make up the majority of the forecast shipment, the biggest hit in the simmering market this year, TRI stresses, will be Apple's iWatch. 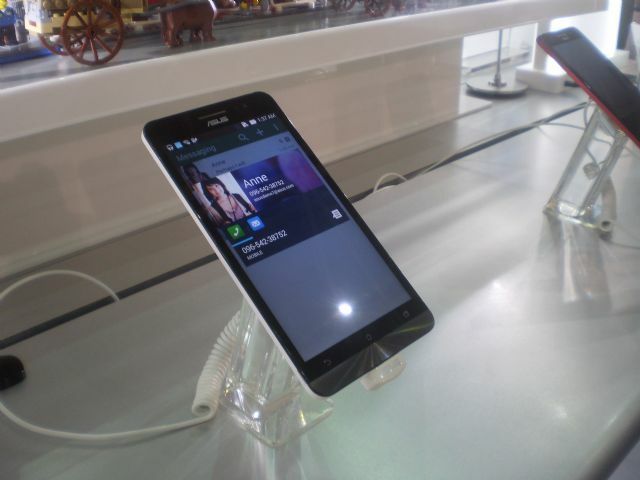 The new device is expected to hit the market in the second half of the year. The rumors are fed by Apple's headhunting for experts on sports, boutiques, hypnosophy, medicine, biosensor and other related fields since 2013 to develop the said product to target the professional market. To boost its premium image as a high value healthcare product, TRI notes that iWatch will likely be built with special biosensors and systems for monitoring physiological information from breath, heartbeat to blood oxygen saturation and blood glucose, with the dial made of sapphire, the case and bracelet of precious metals. As to market prospects for laptops and tablets, TRI thinks that the future will be brighter this year than last year. In laptops, TRI explains that the retirement of Windows XP, launched in 2001, is likely to trigger market demand for notebook PC replacements starting in the second half of this year, which will help sustain global shipment to 175 million and stem the negative trend of sales, which fell by 1.2% compared to last year. In response to the shrinking market size, brand vendors will keep concentrating orders to single contract manufacturers to get better prices. This trend, TRI predicts, will benefit larger-sized Taiwanese contract makers as Quanta Computer and Compal Inc., which are both expected to see 5-7% shipment increase this year. However, smaller makers, such as Wistron, Pegatron and Inventec, could feel the pinch. 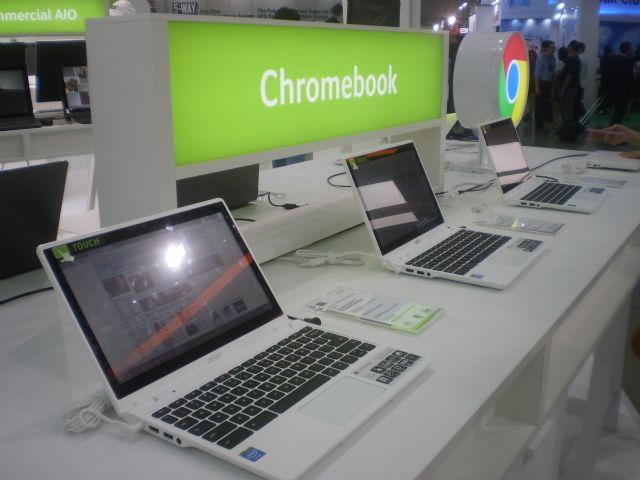 Chromebook laptops could revive growth in global laptop shipments. In the tablet segment, TRI expects that the rollout of low-priced models by brand vendors will push up global shipments by around 14% to 195 million units this year. Eight-inch models will make up an increasing share of the total and 12-inch-and-larger models will emerge as a contributor for the first time as Microsoft and Samsung prepare to debut 12.2- and 12.5-inch tablet models, respectively, in the second half of the year. 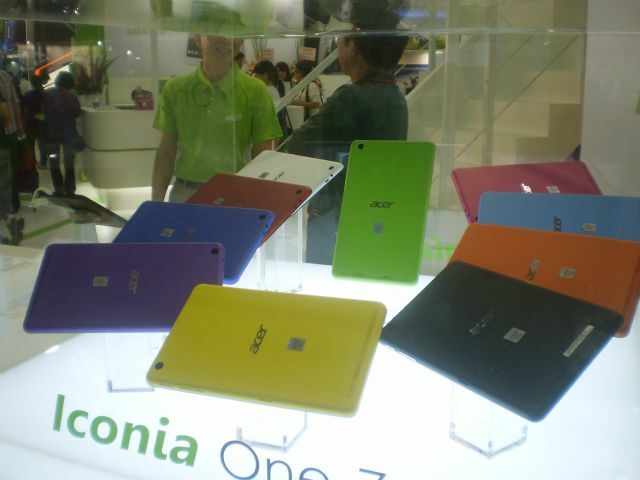 Acer’s Iconia One 7 tablets are powered by Intel's Atom processors.